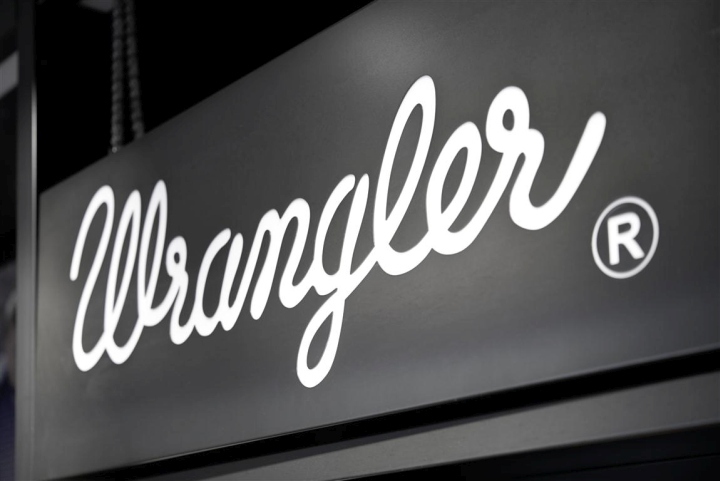 Since its foundation in 1947 in North Carolina, the Wrangler brand has always put its strategic focus on performance. 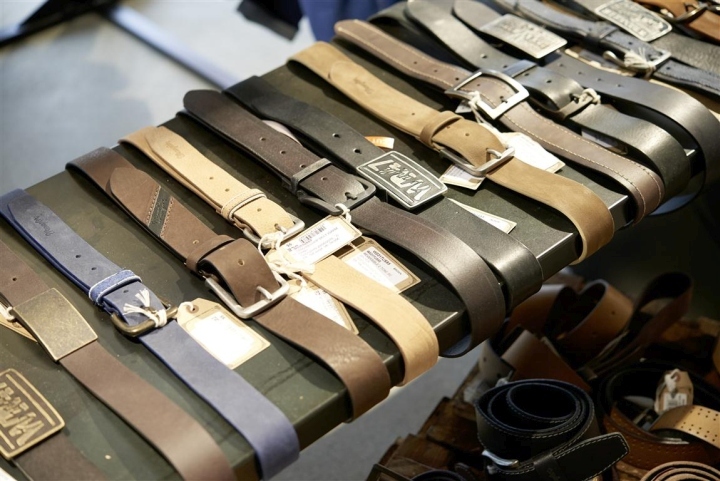 Innovative materials and cuts are the core of the brand. The latest development is a water-repellant jeans fabric that combines a unique look and functionality. 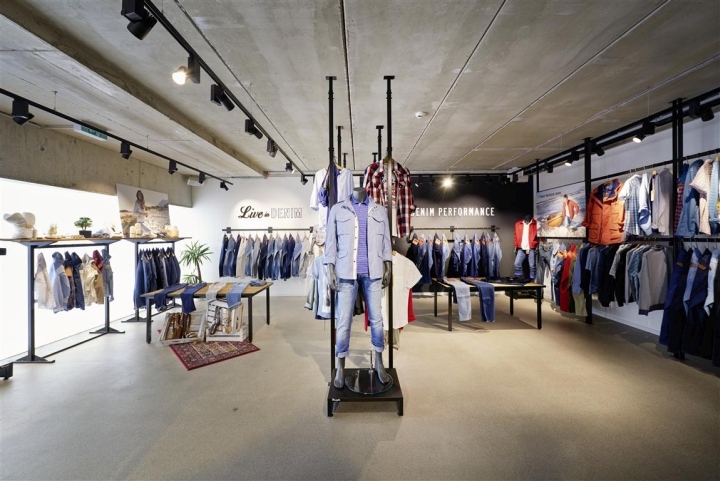 This is exactly what ARNO is realizing with the new Wrangler store concept – a unique combination of look and functionality. 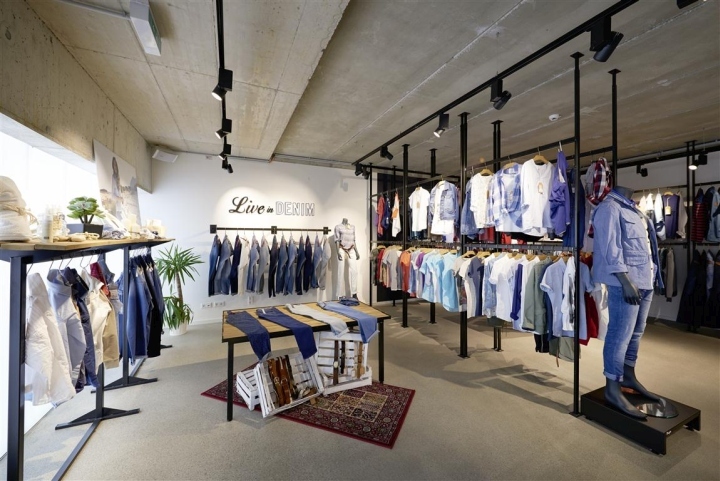 The store concept allows for two different areas, one for women’s wear and one for men’s wear. 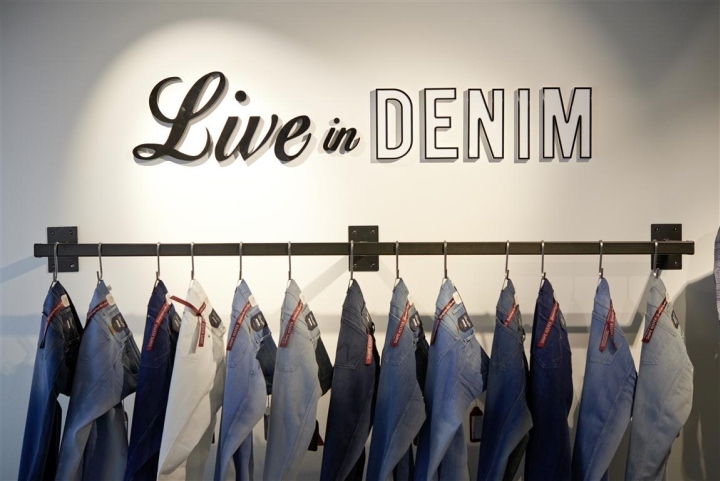 “Live in Denim” is the slogan of the women’s fashion line. The colour design of this area is light and warm. 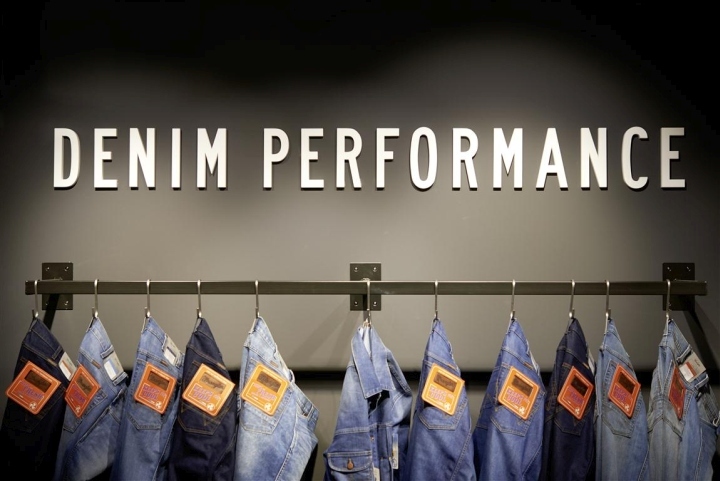 “Denim Performance” is targeting the male customers who put their focus on functionality. This area is held in dark colours. 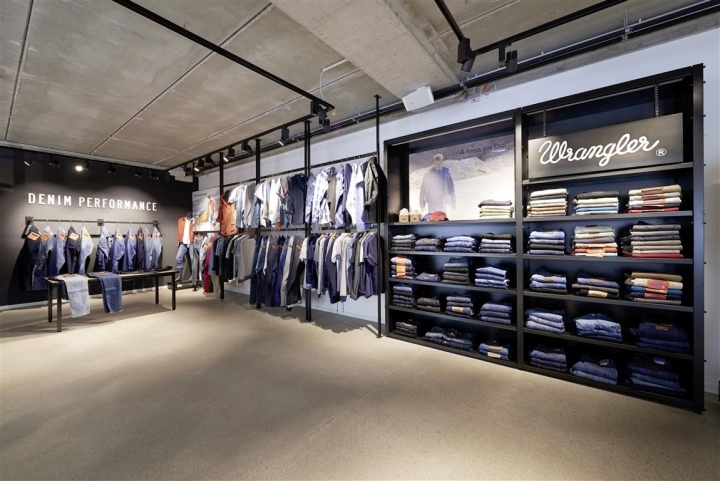 ARNO optimized and value engineered the store furniture with high diligence. It is made of wood and hot rolled steel with clear powder coated finish to provide durability whilst maintaining the raw unique finish to the material. ARNO produces and stores the furniture items before they are delivered and installed. ARNO employees visit each location to start off the project and to get exact measurements. Based on this data, detailed floor plans are created that include all furniture. During the next step each store is visualised in a 3D model. Thanks to this, the customer can preview the arrangement of the store and make changes if necessary. 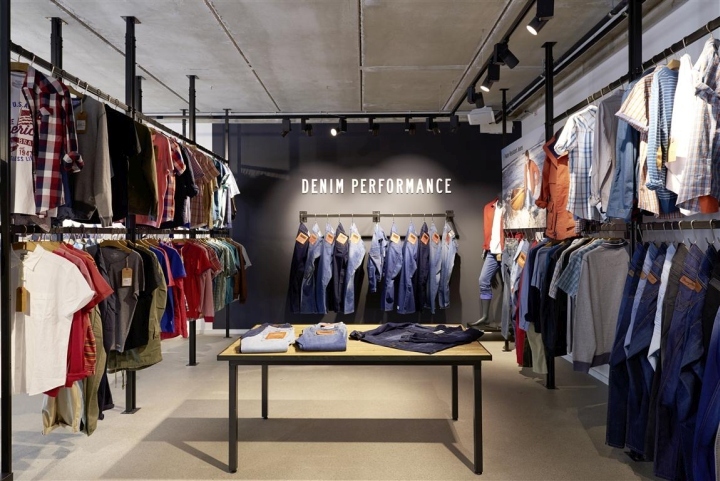 ARNO plans each store on a square meter basis and analyses the capacity for SKUs to enable Wrangler to do ROI investment calculations. 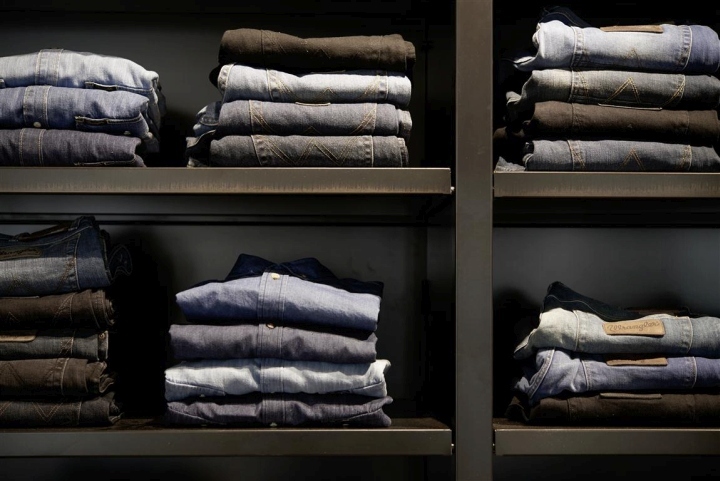 Every store is completely installed within four to six weeks after the order has been placed. 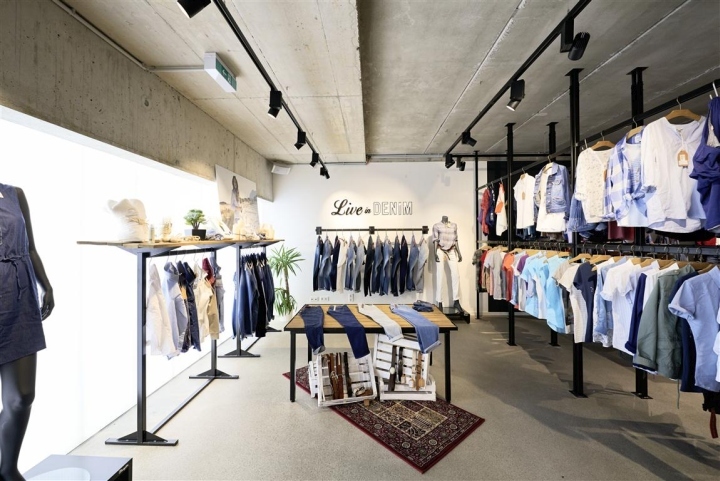 In total, 30 stores have been implemented Europe-wide during 2014 in Italy, Portugal, France, Austria, Hungary, Germany, Great Britain and Ireland as well as in Finland. 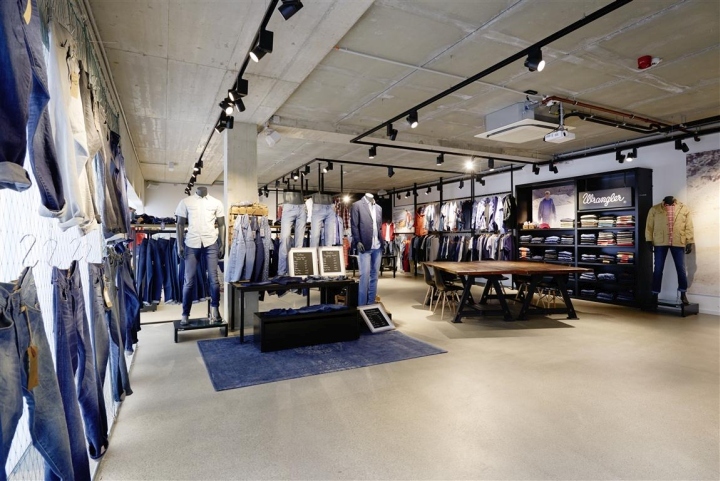 Another 50-100 stores are planned for 2015. 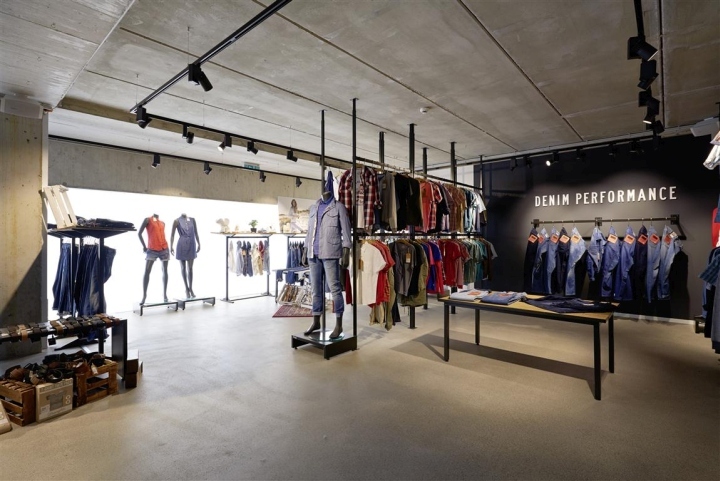 ARNO Group - Shaping the brand. Together. 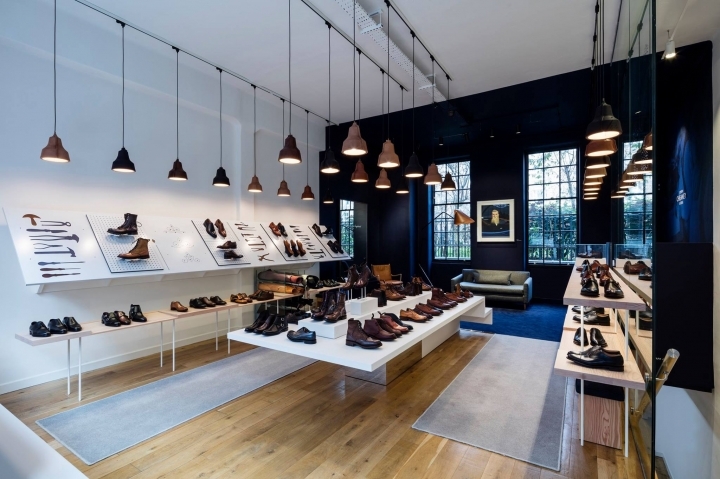 ARNO showcases brands at the point of sale – in an aesthetic, sophisticated, appealing and efficient manner. 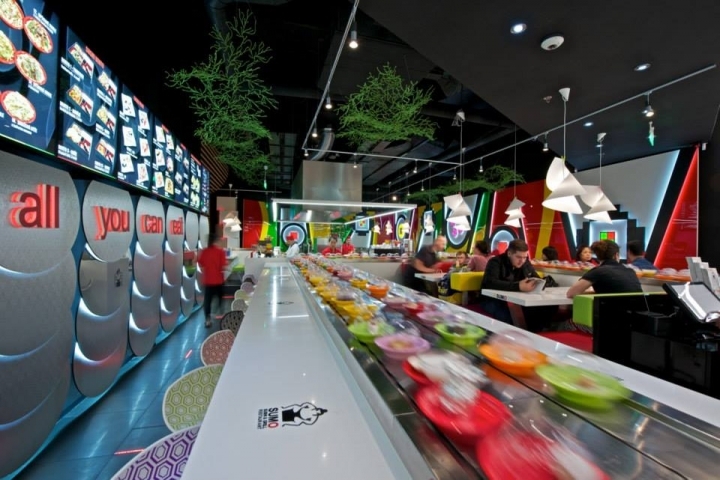 We have been the leading expert for displays, shop in shops, stores and interactive systems across all industries for the past 75 years due to our vast experience and more than 250 dedicated employees worldwide. 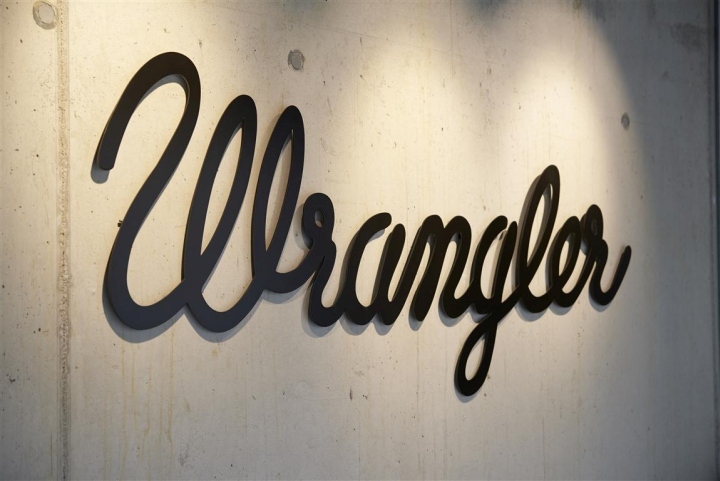 Our competence portfolio includes everything from value engineering to the design, the construction and production to the logistics, installation and after sales services. We coordinate complex, international projects of all sizes and for multinational corporate brands and commercial enterprises. 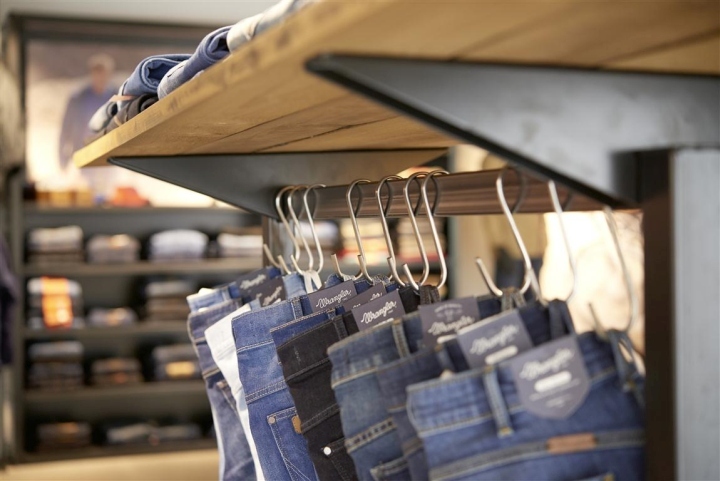 ARNO is a global player with certified processes and one objective: create unique shopping ambiences that trigger the purchase. The ARNO Group is composed of its headquarters in Wolfschlugen near Stuttgart, as well as subsidiaries in Munich, Bristol, Paris, Istanbul, Moscow, Guangzhou and a strategic alliance in New York.